In this episode I talk with astrologer Kenneth Miller about the general topic of birth data collection as it relates to astrology. Much of the show focuses on discussing the debate over whether it is better to use the birth charts of celebrities as examples or if it is better to use the charts of people you know, like friends and family. During the course of the show we discuss the pros and cons of both approaches, and ultimately try to come to some conclusion about how to best deal with this issue. We begin the show with a news segment. I’ve been recording several new lectures on techniques for my Hellenistic course lately, and this led me to gather some new chart examples and explore different birth data collections. The main debate is whether it is better to use celebrity charts as examples OR the charts of people you know, like friends and family. We talk extensively about the different pros and cons of each approach. The issue of rectification and how annoying it is when people use rectified charts as examples. Some discussion about AstroDatabank and the Rodden Rating system. In regards to eminence and using the trigon lords of the sect light, since these lords primarily fall cadent, succeedent or angular one is basically defining small, medium or large. Within the context of large, one can be anywhere between CEO of their own small business or middle manager of a major corporation up to world famous household name. The variation in the top category is very great. As for the really famous, what we haven’t really been doing is looking at how those charts fall in line with some obscure techniques of Valens (or those that might have been lost) such as comparing the lords of the year, month, day and hour with the heliacal rising of Sirius to the nativity which is only briefly mentioned in Valens. Barring this, one might compare the nativity to a national chart or the thema mundi. It’s been suggested that there is also a natural heirarchy of mundane charts as well and that reaching these highest levels is a combination of anangke (family ties), fortune (tuche) and actions. I’m with Axel. Charts must be verified before they can be read. Regardless of Rodden Rating. 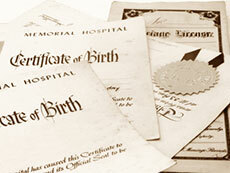 For the most part, verification will confirm the birth time, so this step is often a formality. An astrologer who invariably yanks the time by an hour this way or that is suspect. Five or ten minutes can be excused as normal clock error, more than that needs to be justified on a case-by-case basis. Keeps the would-be rectifier on his toes. I am not of the opinion that events can be used as a primary basis in rectifing charts as I have seen too many bad event-based rectifications. In this light I am not certain astrologers can discern events based on the midheaven degree versus events based on the ascendant. My example is Beethoven, who many have rectified to a Taurus rising. Regrettably, a Taurus rising chart does not fit the man, but Leo rising, Saturn in Leo on the ascendant, Mercury-Sun conjunct in Sagittarius in the 5th, does. (December 16, 1770, Bonn.) As it happens, Taurus becomes the MC. Yes, a Taurus degree is of interest, but so are complimentary degrees square, opposed, semi-square and sesquiquadrate to it. The decision to make Ludwig a Taurus (as opposed to, say, Scorpio or Aquarius) was presumably based on a casual resemblance to what we think Taurus rising should look like, along with the ;idea that Taurus = art = Venus = creative person = our friend Louie. In my view, first establish a chart that fits the individual, then fine-tune it with events. The chart should match the individual and the exact angles should have accidental support. Both ways. The standard I use is that the house and sign of the ruler of the ascendant must accurately describe the individual himself. If it does not, then we throw the time away and look for something else. Joseph Blagrave hinted at this in his use of decumbiture charts in the 1670’s. Using this I discovered, or more accurately, rediscovered the fact that with births given in a 24 hour clock, those clocks have always been set to 0 = noon. Not midnight. And, so far as I can tell, they still are to this day. The only astrologer I have found, to date, who seemed to have been aware of this, was William Lilly himself (Book I). Who, in Book II gives several charts in 24 hour format where noon = 0. The point Ken makes, that reading ordinary charts sharpens one’s techniques, is a good one. It is in contrast to the easy application of what we think we know to a famous chart which only reinforces the astrologer’s existing prejudices. For an example of that, see one of Richard Idemon’s books. I use celeb charts in a different fashion. I want the chart to tell me why the celeb was this or that way. For example, I wanted Beethoven’s chart to tell me why he was such a mean, miserable, anti-social sob. I will often set a chart on the shelf until I have figured it out. Rarely do I change the time. With Abraham Lincoln, I was presented with a chart that had been rectified by both T. Patrick Davis, as well as Manly Hall, to the same exact time (so said ADB), but this rectification was presumably only checked as far as the accidents of his life. The problem was this version of Lincoln’s chart had four planets, Sun and Mercury among them, in the 12th house. How does a profoundly 12th house man become the most revered President to ever rule America? To find that out, I had to re-think my concepts of the 12th house, from the ground up. In the process I discovered that Abe was deaf as a doorpost (very likely as the result of nearly drowning when he was a boy) and that the twelve houses, in and of themselves, have their own innate intelligence. Lincoln exploited the intelligence of his 12th and 9th houses brilliantly. I have learned there are a thousand different ways to use the same astrological factors. Just as there are a thousand different ways to mix pigments on a canvas. The power of free will is astonishing. Could I do this for paying customers? No. Which is why Ken’s insistence on learning to read ordinary charts is so valuable. So far as, do the famous have a right to privacy? If they want us to vote for them so as to become our leaders, NO. They have no right to privacy. They lose that when they stand for election. As for the difference between celebrity charts and the charts of ordinary people, one must keep in mind that the same chart might belong to a pet, be the inception for a wedding, etc… I also know someone who was born with the same chart as Bill Clinton within a few minutes time later (with very little change of ascendant or the lots and is the wife of a book store owner. The difference between celebrity and non celebrity may not attribute to astrology at all, but lie within the realm of material causes not actualized. In other words I believe it is possible for 2 people to essentially have the same chart with different outcomes. Therefore it is best to apply the same principles to both. One a male, the other a female, is a lot of change already. The ruler of Bill’s 7th house, Mars debilitated in Libra, represents an aggressive wife (Hilary). Reverse that and the woman’s husband should be weak and effeminate. Yes? And just as much underfoot. Would he be the needy sort? Would that be why he runs a bookstore? I run a bookstore, but I’m the aggressive kind. Moving it all over the country, making a big noise for it on-line, publishing books, etc. Unless he’s running a Barnes and Noble branch, would he be the sort of one-man shop that puts books on the shelves and then hides behind the counter, waiting for browsers to wander in and buy them? Now am curious about the female time twin to Bill. She would have had a much different life as a female, Venus in Libra in the ascendant, Sun-Mercury-Saturn in Leo in the 11th. When Saturn rules the 5th from the 11th, he is debilitated on the face of it and represents a partner who cannot or will not give the native children. Bill, for example has only one child, but with Mars in Libra, ruling the 7th from the 1st, he was overrun by powerful females. Was he looking for more children but found all his partners to be the same as Hilary, unable or unwilling to give him any? Was that why he stayed with Hilary? No one to produce a kid and force the issue? So we make Bill a female and surround her with effeminate men. One wonders if they are impotent or gay? Meanwhile the woman still has Libra rising, Venus as chart ruler in Libra and the first house. She’s going to be a very sweet person, but with weak partners will probably not amount to much. Tell me how badly I did. A timeline is very important in understanding how a chart works, how placements play out. It is the life lived that is shown in the chart and a life is lived in a series of events. Any nativity, famous or not, that comes with a timeline is worth studying. I do agree celebrities lives tend to be better documented than most peoples, generally, and therefore they have better timelines, a better account of happenings. It is a certain kind of advantage also, of course, anytime we have contact with the native. Contact of some sort, even if it’s just listening to an interview, reading a letter written or watching the person in a movie, gives us a better feeling for the essence of the individual, the essence of the chart. The chart comes to life, you could say. The downfall with using charts of common people we know personally may be that we become more subjective the closer we are to the individual and we may not see as clearly, even if we do have a better experience of their essence, and others may have not experienced this persons essence at all. In the end I think charts of famous individuals may be best as a teaching tool because we all can connect the chart with a personality…and we can have a good time-line to go along with that personality. Whether a celebrity chart is special or works better? I think that is debatable. Interesting conversation! Really enjoyed the discussion guys! Great topic. thanks! i enjoyed this particular discussion.. 5 stars! Thank you guys! Interesting discussion. Totally agree that there is a divination element in astrology. The only thing I wish you also dwell on how you get a permission from the client on using their chart as an example, as not everyone would want this. Would you take a written permission? What if the person later changes their mind for some reason when the book / video is out already? It is more of a question of ethics, trust and character of a client / friend / relative probably. And wonder if it is common to change the name of the person or even skip the birthdata alltogether just showing the chart and planet positions and aspects? And if you include celebrity charts in the classes, YT videos, articles, books etc would you actually ask that celebrity if they are OK with that? It seems to be quite curious that so many people on YT for example study charts of Brad Pitt & Angelina Jolie, and Bill Clinton & Hilary Clinton :). Wonder if they all know that actually. Maybe it adds to the popularity however somehow I feel personally it is a fine line here. On the topic of rectification, I am not a pro yet however know basic natal astrology. Because I find astrology useful in counselling and divination (intuitive consulting) which I am developing, it seems quite important to know the exact time of birth at least within 10 minutes (unless aspects and signs is the only thing you need), of course it depends on the type of reading / astrology application. I personally would prefer, before getting to some conclusions, to check every chart whenever possible at least minimally whether the time of birth matches some major events however for an astrologer who is not advanced yet it is hard as rectification is a pretty advanced procedure. As an example even with my personal chart I was given 4 different times of birth with a 25-minute difference (although they were done in different years so the list of events was more full in the last cases). It shifts transits quite a bit. How can we actually be sure that the person has a correct time? unless maybe it is an odd time like 14.21 or something like that, usually a 30-45min difference is quite typical for those who know approximately exact time of birth. It does also depend on the country as in some countries times used to be rounded up and a chance of a mistake is pretty high.